Posted: 0 Post subject: RAOPK again!! I just got home from my vacation to find a little surprise box for me. I received STRIPES and NECTAR!!! 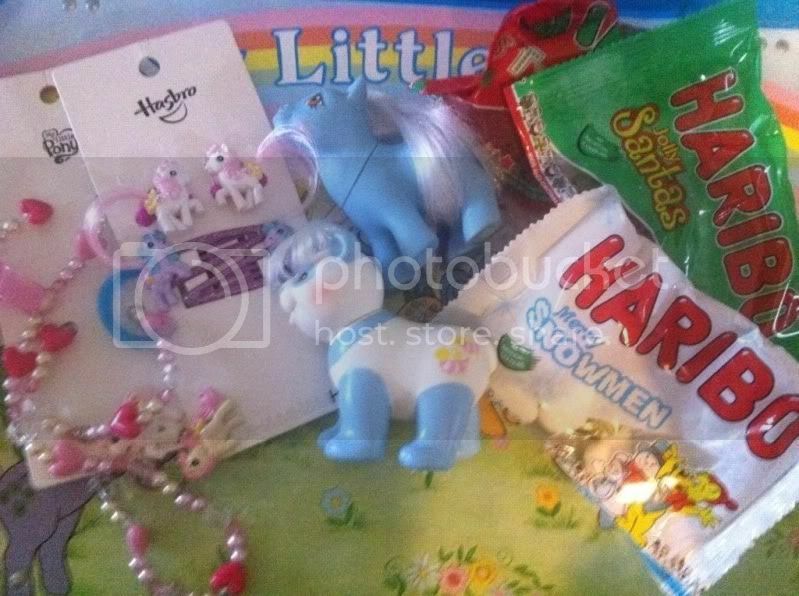 And the h&m jewelry and hair clips And loads of candy!! Again, thank you, Mercy!! And thank you pony community for being so awesome!! aww yay!! Congrats, thats awesome! So nice to see these kind of brags! I love these types of threads! Hooray for RAOPK, and hooray for MercyNova!! That's a very awesome random gift! Congratulations. What a great surprise. Congrats! Oh my gosh wow! I love seeing RAOPKs they must be so exciting to get!